I’ll be damned. A solar charger with a 1500mAh capacity battery and 5-volt output from a relatively well known manufacturer priced at $30. That actually seems reasonable. 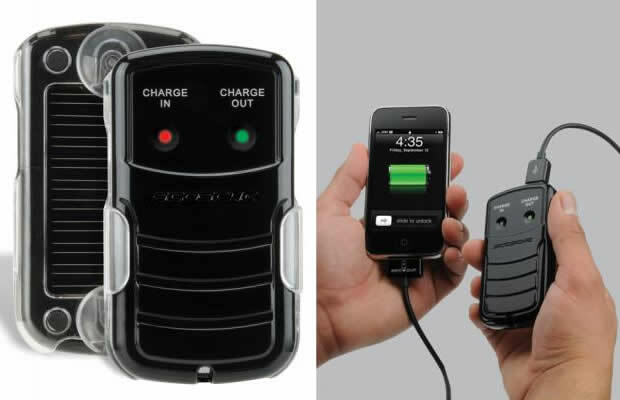 The solBAT II from Scosche features a standard USB output port for charging most of your portable devices and it even comes with a little suction mount case for use in the car. So what’s the catch for $30? Well according to the user manual, it’ll take 4-5 days to charge up the internal battery using the solar panel. Thankfully, the kit also includes a USB charge cable that’ll juice up the battery in around five hours. That kind of defeats the purpose of a solar charger, though. Whatever the case, you’ll probably want to leave this thing stuck to your windshield or anywhere it’ll get a lot of direct sunlight. And the 1500mAh battery is good for an entire charge and then some for most standard phone batteries. So in an emergency, you’d be good to go if your phone dies.